A Blue Wave? Don’t Vote. The name Paul Weyrich might not mean much to you today. But for four decades he planted the seeds of ideological rhetoric that have produced bumper crops of bitter, polarizing political fruit. Weyrich was an unapologetic conservative activist. As co-founder of the right-wing Heritage Foundation, he helped plan a path toward seizing control of politics and government. How he helped do it is highlighted best by what he told a convention of conservatives in the summer of 1980. On statistics, Weyrich was exactly right. Republican candidates fare far better when fewer voters participate in elections. That was as true 35 years ago as it is today. And in many regions in Illinois, Democrats have lost their footing. 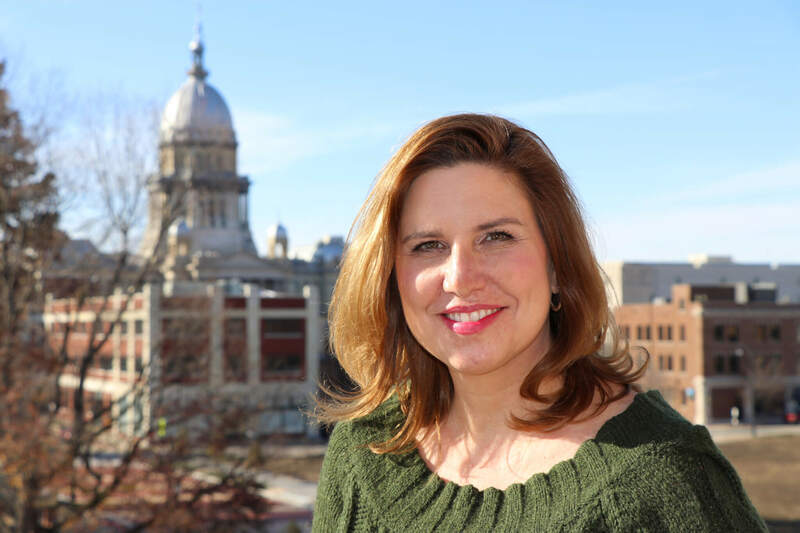 There are multiple factors that have led to the weakened presence of local Democratic party organizations in Illinois. Admittedly, many are inadvertently self-inflicted over dozens of years. But mending these deficiencies is underway in 2018. 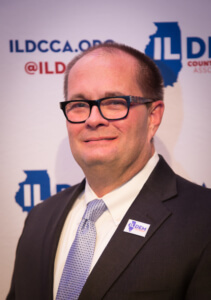 Three years ago, when I was elected President of the statewide Illinois Democratic County Chairs’ Association, I was determined to lead an effort to help rebuild county Democratic party organizations throughout the state. Our goal isn’t simply to react in order to have a better, one-time outcome for the next election. Instead, our association sought to offer fuel for the sparks that Democratic activists all over Illinois are making. Out of this multi-year endeavor, the IDCCA has been tireless in helping to strengthen local Democratic party operations. Working with state and national party organizations, we’ve trained thousands of precinct committeepersons, community members and candidates. We’ve forged new partnerships with advocates who seek to empower community engagement. And, we’ve aggressively recruited high-quality candidates who are determined to work for every vote to achieve victory. Democrats and working families ought to know that we’re not just hoping or wishing or crossing our fingers for a 2018 Blue Wave. We’re building a Blue Wave in every region, county, community and neighborhood in Illinois. After the March Primary election, nearly 400 local Republican candidates were headed into November unopposed. But in just a handful of weeks, through our energized Democratic Party county chairs, the IDCCA recruited dozens of new candidates to offer voters solid choices at the ballot box. It’s truly exciting. Our diverse association of Democratic party leaders seeks to unite and build. We’re working to attract and engage Illinoisans who take exception to the crass division of the modern Republican party. Quite frankly, we have to. Our success relies on strong voter turnout. None of us can afford to permit the GOP’s fast-tracked destruction of 70 years of American progress. That progress has included the creation of the social security system, fairness in health care, investment in strong public schools, and government that works to support small businesses over corporate lobbyists or insiders. We oppose the stubborn arrogance of political bullying that triples our billions in unpaid bills or starves the economic engines of university towns. That’s not pro-business. And it’s not pro-Illinois. I’m convinced that Illinois is better when we’re working together. The challenges that middle and working-class Illinoisans face in urban centers, in cities like Chicago, and the struggles faced by residents in rural communities are far more similar than they are different. To reject this reality is little more than the rally cry of an unpopular Illinois Republican Party. Remember, the more divided and suppressed people are made to feel, the fewer participate in elections. The work of county Democratic party organizations is the polar opposite of the Weyrich doctrine. Our desire is to attract more working and middle-class people, not fewer. We seek unity, not division. We believe that bridging partnerships in our communities yields a better quality of life for all. Today, our state’s county Democratic party organizations are more active, organized and engaged than ever before. We’re determined to build on our momentum in every corner of the state. Illinois belongs to all of us and the doors of your local Democratic party are open. So, come on in. The more, the better.